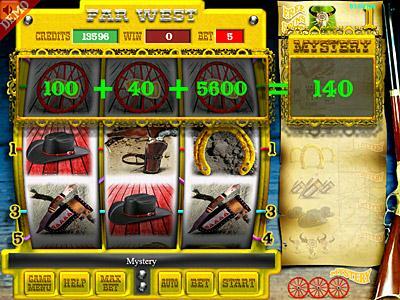 Get in the Far West and become an expert in shooting. 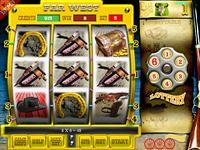 3 reels, 5 paylines and many bonus games reward the player. The Bottle Bonus is triggered when 4 guns appear at the 4 corners of the reels. 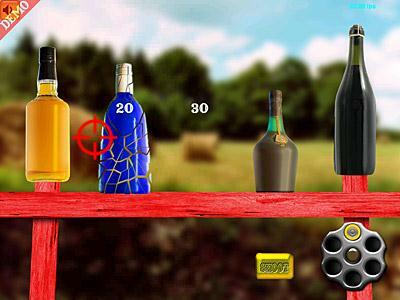 So the player by pressing Start shoots the bottles to win credits or an extra bullet. 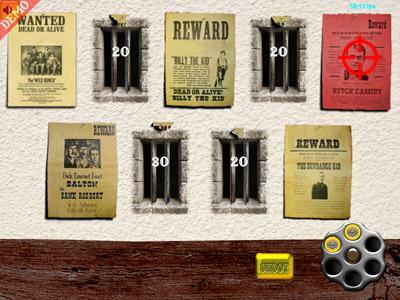 The Wanted Bonus is triggered when 4 posters appear at the 4 corners of the reels. The player by pressing Start shoots the posters to win more credits or an extra bullet. Mystery Bonus is triggered when 3 Wild symbols appear on the 1st, 2nd and 3rd line. Then 3 numbers appear on the reel. 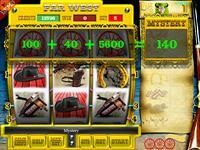 The player wins the total of these 3 numbers. 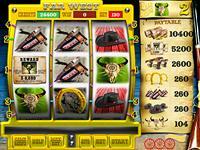 When the cow’s skull appears at the center of the reels, then the player wins 1 Free Spin. 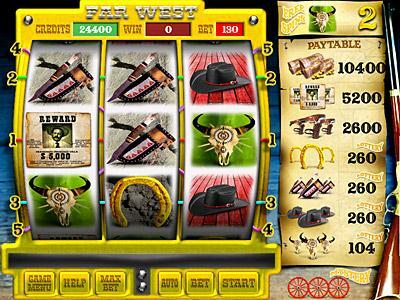 These Free Spins are added to the box at the top of the paytable and when they reach 10 the free Spin Bonus is triggered. 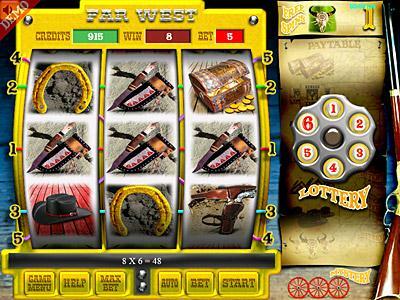 When one of the last 4 winning combinations of the paytable appear the player has the chance to multiply his wins up to 6 times with the Lottery feature.